Where Can I Spread Bet on Shares? Where Can I Access Live Share Prices? Where Can I Get Live Share Charts? A Financial Spreads account gives you real-time pricing on 1,000+ spread betting and CFD markets including the equities listed above. Clients can also get real-time prices on a large variety of stock market indices, commodities and forex markets. 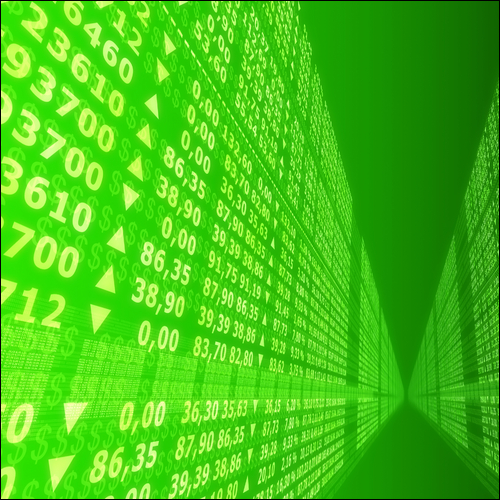 Spread betting, including shares spread betting, is currently tax-free in the UK. Note though, tax treatment does depend upon the individual circumstances of each client and can change in the future. Where Can I Get Live Shares Charts? Using a Financial Spreads account clients can access live charts for the above shares and many other CFD and spread betting markets. Chart overlays and technical indicators e.g. Bollinger Bands, Moving Averages, RSI, MACD, Parabolic SAR, Ichimoku Cloud, etc. The following example is based on a popular UK share, Barclays. This is a 'Rolling' spread betting market and so there is no final closing date for this trade. If you haven't closed your trade and the session ends then your position will roll over to the next trading day. If a trade is rolled over then you will normally either be charged or credited for overnight financing based on whether you are speculating on the market to decrease or increase. For further information also see Rolling Spread Betting. Units (Points) Traded Spread trades on the Barclays market are priced in £x per penny price movement. E.g. if Barclays changes by 45p then you would lose/win 45 times your stake. Stake Size You decide what to risk per penny, e.g. £3 per penny, £4 per penny, £20 per penny etc. Simplified Trading Example If, as an example, your stake was £3 per penny and Barclays moves 26p, you would win / lose £3 per penny x 26p = £78. Time to Take Your Profit? At this point, you could opt to leave your spread bet open or close it, i.e. close your trade for a profit. In this example you decide to close your trade by selling at 272.12p. Restrict the Loss? You can choose to let your position run or close it, i.e. close your trade to limit your losses. For this example, you opt to settle your position by selling the market at 253.49p. Close for a Profit? At this point, you may choose to keep your trade open or close it and lock in a profit. In this case you choose to settle your position and buy at 250.04p. Time to Limit the Loss? You can decide to let your position run or close it, i.e. close your spread bet to restrict your loss. For this example, you decide to close your trade by buying at 272.35p. Where Can I Practice Financial Spread Betting on Shares? Financial Spreads offer a Demo Account where investors can practice trading, analyse charts, test new trading theories and use trading orders on numerous spread betting and CFD markets. 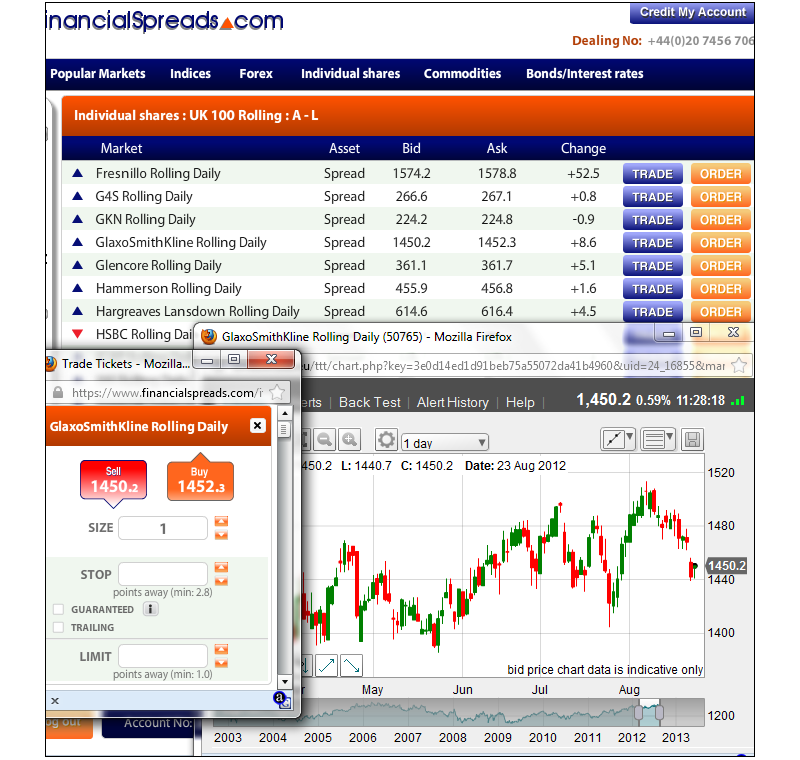 The Financial Spreads Demo Account comes with a large range of shares, stock market indices, FX rates and commodities. Product Description: An Equity Spread Bet is a leveraged financial derivative based on the price of an equity such as Vodafone or BP. The first currency listed is referred to as the base currency and the exposure of a spread bet is reflected in the second currency quoted, otherwise known as the quote currency. The following is put together by Finsa Europe Ltd, trading as Financial Spreads, and provides you with key information about this investment product. It is required by law to help you understand the nature, risks, costs and potential losses in investing with these products and to help you compare against other products before you make a decision to invest. A Spread Bet is a financial product under which the parties agree to exchange the difference, in cash, between the opening price and the closing price of a trade. Spread Bets are leveraged financial products, meaning that you only have to outlay a small percentage of the notional value of a transaction. We offer a two-way price on a number of Equity Spread Bets. To derive our price we wrap a spread around the market price of the underlying equity, which is typically calculated as a percentage of the price of the underlying equity. E.g. we may quote 232.50-233.00 for the Vodafone Spread Bet. You would nominate the stake per tradeable unit, in this case it would be the amount you wished to stake per penny movement or 1 point movement in price. Let's say you chose to buy a stake of £10 per unit at 233.00. This would equate to a notional value of £2330 (233.00 multiplied by £10). Please make sure you fully understand the nature of spread betting and the below risks associated with trading such products before making a decision to trade as there is a chance you can lose significantly more than your initial deposit. Counterparty risk - Spread Bets are "over the counter" (OTC) products, which means that they are not traded on a licensed financial market, such as a Stock Exchange. They are a contract between you and us, which means you are exposed to the risk of us as the counterparty not fulfilling our obligations to you. Leverage risk - The leverage nature of Spread Bets means that a relatively small move in the price can cause an immediate and substantial loss to you, including a loss far greater than the amount of your initial investment. The principle cost or commission of trading Spread Bets is incorporated in what is known as the Spread, which is the difference between the sell and buy price. Our Spread is typically a fixed percentage of the price of the underlying equity and can be viewed, along with other specific product information, here in the Market Information Sheets. There is a cost of holding Equity Spread Bets overnight, known as the Overnight Financing Charge. The effect of these adjustments is to mirror the effect of us financing the asset in the underlying market on your behalf.